Kevin Flahive was part of a Cork defence torn to shreds by Kerry - but they won't face the same kind of threat from Tyrone. Picture by Philip Walsh. CORK football is sore. There are more weaknesses on their side than there are on Tyrone's – but their opponents this afternoon won't strip them bare and parade them down the street in front of the whole village the way Kerry did. The Kingdom did to Cork what they've done too often of late, but it's something any of the rest of the top-end All-Ireland contenders would do. The Rebels were keen in its aftermath to point back to their semi-final win over Tipperary, which would be useful in arresting a sagging morale, but that ignored why they were beaten the way they were in the Munster final. Against Tipperary, they had moments of struggle against an initially lively running game, but mostly Ronan McCarthy's side were comfortable defensively. Tipperary didn't look to kick all that often. Cork swallowed them up and they were electric at times on the break, with a fast-moving half-back line ensuring a rapid transition that backboned an 11-point win. They came out in the Páirc Úi Chaoimh sunshine with optimism that they could take Kerry, and two goals in the opening salvo suggested it had basis. But it quickly unravelled. Kerry's movement and kick-passing destroyed Cork defensively. The pace, athleticism and finishing ability of all six forwards will be a torment to any side as this year goes on. Cork were just the first to feel the full weight of its harsh new hand. Stephen Cronin was continually bypassed as the sweeper, never knowing quite what or where to cover, such was the depth of options every time Kerry had the ball. He seems more comfortable meeting runners. The Kingdom pressurised every kickout and their systems failure at midfield, both in the air and on the loose ball, has led to Aidan Walsh dropping out of the team. Brian O'Driscoll is his named replacement but either Mark Collins or Ruairi Deane will be the one to move to midfield. And then there was Cork's attacking play. Having looked sharp and dangerous against Tipp, they were rudderless in the Munster final. But that was Kerry's doing too. They put such a sustained press on in the middle third that Cork couldn't get a runner through that space. The opening goal they got was off a long ball turfed in at Ruairi Deane, who cutely drifted inside knowing he had a good six inches on Paul Murphy. 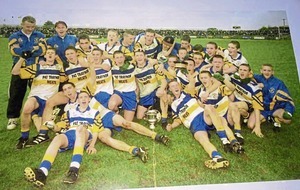 It was a sign that they had laid plans for success – it was just that Kerry were so good, they couldn't implement them. Tyrone could not be a more different prospect. They won't do any of the above. Whereas Cork's counter attacks were cut off pretty much at source a fortnight ago, Tyrone will drop back into their standard shape and allow the opposition into their territory before they set about trying to dispossess them. Allowing the Rebels to build that head of steam from deep could prove a very dangerous thing to do. And then there's Tyrone's own attacking play. Their running game was strong at times, but unsustainable in 27 degree heat. On a more Irish day, they would have blown Cavan out of the water. Connor McAliskey has hit a dry run the past couple of outings, scoring just a single free last weekend. His form had carried their attack in the games against Monaghan and particularly Meath – a tie that bore a striking resemblance to the potential of this one. But they still won't kick much ball, and that will allow Cork time to get back and set up with numbers. Tyrone will need a better display from Declan McClure than last week because Cork are strong enough to get a real handle on midfield. 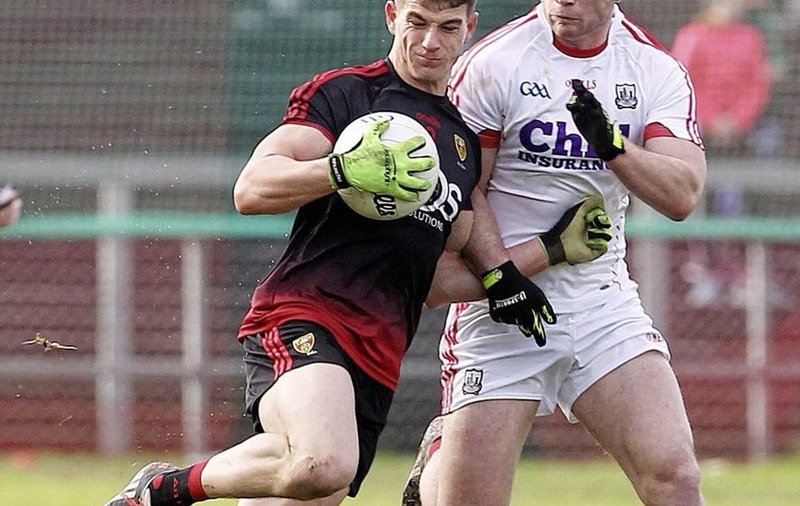 What the Red Hands will be banking on is Padraig Hampsey getting control against Luke Connolly, doing enough to break even at midfield, and their running game to consistently breach a sometimes cumbersome middle third for the Rebels. Tyrone's style tends not to make life that handy for themselves and the danger with that is, in an atmospheric venue like Portlaoise, they could find themselves sucked down by the whirlpool of momentum. And lest we forget, it was at this stage last year that the Rebels almost had Mayo gone, losing out by a single point after extra time. 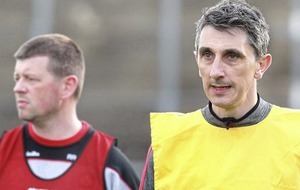 It could be Tyrone football that's sore this evening.